Tata Starbucks recently announced its launch in the city of Chandigarh. Celebrating its sixth anniversary in the Indian market, an entry into Chandigarh marks Tata Starbucks first non-metro city entry and its second city launch this year. India continues to be one of Starbucks’ fastest growing markets and Chandigarh now becomes the eighth city for the company in India. The first Starbucks store in the city at Elante Mall will welcome its customers on October 19, 2018. Chandigarh is the best-planned city in India, with architecture that is world-renowned, and a quality of life, which is unparalleled. 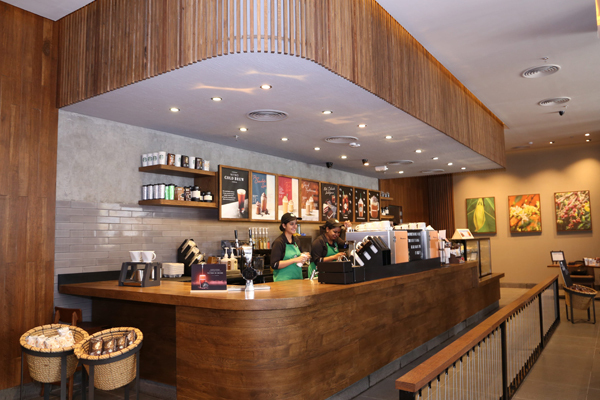 Tata Starbucks first store in Chandigarh, located in high-street Elante mall, is inspired by this notion, where its iconic coffee bar stands anchored at the heart of the store. Coffee is presented centerstage where baristas create hand crafted beverages and engage customers on an experiential coffee journey. The store celebrates this coffee story and is woven with graphical representation of the life cycle of a coffee plant. The outlet has been designed to reflect the rich historical architecture of the city and the interiors of the store embrace and celebrate the local culture with the use of displayed antiques. The wood-stamped concrete walls are attractively designed with a colorful and textural piece of tapestry created using local weaving and embroidery techniques, giving the store a warm and rustic feel. The store will offer customers a wide range of Starbucks offerings, including the Starbucks signature espresso-based beverages like Cappuccinos, Americanos, Lattes, and an extensive food menu comprising Indian and international favourites. To complement the exciting beverage menu, Starbucks is introducing two new food additions to celebrate the flavours of Chandigarh. 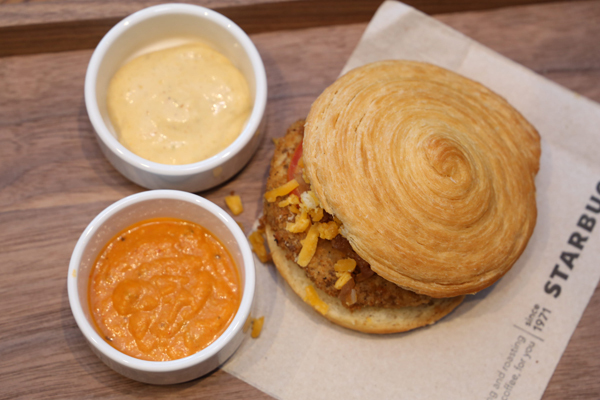 The Chicken Makhani Croissant Bun is a buttery croissant bun layered with chicken and onions, perfected with makhani sauce and pickled mayo. Another addition to pair with coffee is the Chole Masala Tortilla Wrap which has chole wrapped in a tortilla with onions, jalapeños and spinach complemented with chutney and mango murraba. Starbucks also brings to Chandigarh its loyalty programme, My Starbucks Rewards, that provides members rewards and personalised benefits that increase with frequency of use. The store will also offer Starbucks merchandise and free Wi-Fi so that customers can enjoy an elevated coffeehouse experience that Starbucks is known for. Starbucks entered the Indian market in October 2012 through a 50/50 joint venture with Tata Global Beverages, TATA Starbucks which currently operates 129 stores in India across Mumbai, Delhi NCR, Hyderabad, Chennai, Bengaluru, Pune, Kolkata and Chandigarh through a network of over 1,700 passionate partners (employees).